"Extracting the Precious From the Worthless"
Additionally, Davis’ scientific training and background has aroused her curiosity to discover how the natural and spiritual worlds connect and interact. She had sensed that a relationship existed between soul and science, but had never considered adapting her spirituality to it. So her goal is to not only to seek out what is “precious” in NewAge Religion and incorporate it into her belief system, but also to integrate, as New Agers are doing, the Quantum Mysticism believed to be essential in our understanding of the universe’s spirituality. To lend scriptural support to this pursuit, Davis uses, or misuses (you decide), a prophecy taken from Jeremiah which she subtly combines with a personal revelation God gave her. We turn now to observe her permuted prophecy. Heading this chapter is an italicized paragraph introduced with the statement, In Jeremiah 15:19, God says.... So what is it that God says? The content of what God says is now quoted exactly as it appears in the chapter heading. Readers should note the run-on italics marking the entire paragraph to be God’s utterance—In Jeremiah 15:19, God says.... In that both sentences compose an italicized whole, one is left with the impression that what God said to the author (i.e., We may have to...) expressed in the second sentence is on a par with what Yahweh told Jeremiah in the first (i.e., “If you extract...”). The twice recurrent pronoun “we” in the second prophecy indicates God told Davis that together they will “delve into areas we previously considered off-limits” to find common spiritual ground between charismatic Christianity, New Age Religion and Quantum Mysticism. In short, God tells Davis that together they will seek out this emerging alternative spirituality. Regarding this introduction, two points can be noted. First, God tells Davis that they (i.e., we) are going to search out spiritualities they had previously considered “off-limits” (See Deuteronomy 18:9-15.). (TPOH, 11) So we ask: Has God changed His mind? Does God now approve of Christians seeking out occult spiritualities that once-upon-a-time He forbade, as long as He seeks it with her? Davis understands that many in the church (including me) write off pursuit of the occult to be flirting with demons. But no matter, she instigates that “courageous Christians” will go after “the precious” in New Age Religion any way. (TPOH, 16) Second, Davis’ partial quotation from Jeremiah 15:19 (If you extract the precious from the worthless, you will become My spokesman.) should be noted. It’s is not from the New King James Version as the copyright section of the book claims all Bible quotations to be from (unless otherwise noted), but from the New American Standard Bible. If new revelations repeat what’s in the Bible, they are unnecessary. If added revelations contradict the Word of God, they are heresy. And if they supplement God’s Word, then the new revelations imply Scripture’s insufficiency, and about this Proverbs warns: “Add thou not unto his [God’s] words, lest he [God] reprove thee, and thou be found a liar” (Proverbs 30:6, KJV). So the reader must decide: If Davis’ revelation is true then the divine revelation to Jeremiah is false. Or if the divine revelation to Jeremiah is true, then the self-authorized prophecy of Davis is false. Because both revelations stand in dialectic with each other, both cannot be true at the same time, or at any other time. 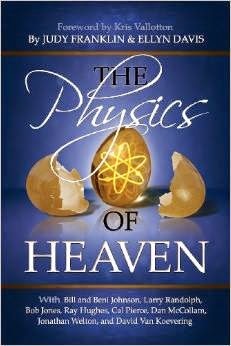 Davis’ premise is that the “worthless” must be discerned and separated from the “precious,” so this study and writing shall attempt to discern whether the contents of chapter 2 in The Physics of Heaven are precious or worthless. 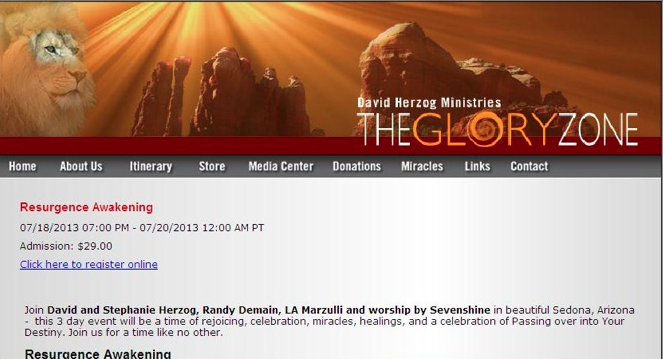 The contradiction between what God said to Jeremiah and what He supposedly told Ellyn Davis needs to be exposed. But first it might be helpful for us to understand the author’s background. Though growing up in “a staunch Baptist home” in the deep south (Many advocates of change reject conservative upbringings as “out-of-touch.”), Ms. Davis, in light of the cultural shift occurring during the 1960s (the Viet Nam War and its protests, the exploration of Space and landing on the Moon, the Civil Rights movement, the emerging Feminist Movement, and the Hippie counter culture with its emerging “turn on, tune out, and drop out” philosophy of life), found her Christian faith to be irrelevant. (TPOH, 11, 12) In her words, “The times ‘they were a-changing’ and we flower children wanted to do our part to accelerate the coming of this golden age.”(TPOH, 12) But the utopian vision faded for reason of the anarchy and licentiousness inherent in the counter-culture movement of the 60s (Remember Woodstock? ), and “burned out” Hippies shifted their attention from society to spirituality. Numbers of the era’s radicals, it ought to be noted, still sought to change society, but did so by entrenching themselves in America’s established institutions (educational and governmental) where they became agents and agitates for deconstructing the traditional way of American life. So Davis joined the establishment. She attended graduate school, was awarded an M.S. in biochemistry, worked toward a Ph.D. in virology, got married and ran several successful businesses. But then she encountered the Holy Spirit, got fired up for God, became “Jesus freak” and pursued ministry. Meanwhile, other ex-hippies embraced “a multi-faceted belief system [New Age Religion] dedicated to achieving heightened spiritual consciousness... [by] developing powers of the mind, aligning with positive ‘energies,’ and removing physical, mental, and emotional blockages to enlightenment.”(TPOH, 13) In their embrace of New Age Religion, these children of the 60s experimented “with Eastern and Native American religious practices, metaphysical philosophies, alternative healing methods, and altered states of consciousness.”(TPOH, 13) So during the aftermath of the revolutionary 60s, the separate and disparate Christian charismatic and New Age religious movements developed side-by-side, the one being indifferent to, if not intolerant of, the other. 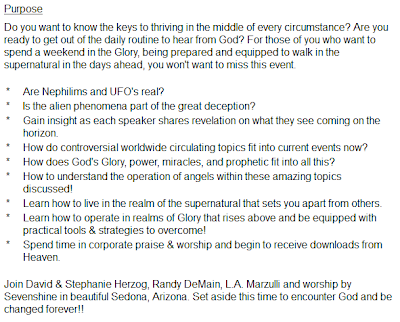 So fast forward to the year 2006, when Ellyn Davis, ex-hippie turned “Jesus freak,” moved to Sedona, Arizona, a geographical center for practicing New Age Religion.... There she became intrigued at seeing the same phenomena of her charismatic faith exhibited among New Age religious devotees—“healings and mystical experiences and revelations to rival anything I had seen or experienced in the church.”(TPOH, 14) Her experience of observing similar phenomena happening in NAR (New Age Religion) as in her NAR (New Apostolic Reformation) caused Ms. Davis to ponder the following question: Do Christianity and New Age spirituality hold beliefs in common? Is there anything “precious” which can be extracted from New Age Religion and incorporated into the Christian faith? Or, is Kipling’s assessment true, “Oh, East is East and West is West, and never the twain shall meet...”? Note: more and more revelation.... As indicated by the chapter’s title and her contriving of Jeremiah’s words to fit her purpose, she calls this mining of New Age Religion to find hidden truths, “Extracting the ‘precious’ from the ‘worthless’.”(TPOH, 13, 15) In describing the extraction process, she employs a colorful metaphor, taken from her father’s estimation of her gritty character, which compares her search to shoveling manure (all the “worthless”) to find the pony of truth (the “precious”) in New Age Religion. In the search, new revelations are meant to guide the search and verify the spiritual truths discovered during extraction process. To repeat, “Now” she says, “we are beginning to hear more and more revelation that is in line with what New Agers have been saying all along.”(TPOH, 15) Thus, supernatural visions, voices and visitations guide seekers through this amazing maze of spirituality and science, a conglomeration of the charismatic, scientific, mystical, and biblical. But for any Bible believing Christian, an important question becomes, does the Lord’s word to Jeremiah endorse shoveling the manure of New Age Religion to look for “the precious” in it? Note: In contrast to Davis’ contention, it should be observed that Jeremiah condemned false prophets who spoke visions from their own imaginations, seers who accommodated combining Israel’s faith in Jehovah with occult spirituality (Read Jeremiah 23:9-32.). So it must be asked, did the Lord tell Jeremiah something different from, even opposite to, what The Physics of Heaven proposes? To answer that question, we turn to Jeremiah to look at what the Lord really told His prophet (Jeremiah 15:15-21; *19). But the Lord did not approve of Jeremiah’s compromise. He had appointed the prophet to be His messenger no matter how unpopular the message might be. As Derek Kidner (1913-2008) commented: “As God’s spokesman, he [the prophet] must allow himself no alloy [mixing] of faithless thoughts and words [with faithful thoughts and words]....” And again, “Popular or unpopular (which had been a burning issue for this thin-skinned man), a prophet must be—and must still be—as uncompromising as the truth itself.” So the Lord’s message to Jeremiah was that he needed to separate “the worthless words” he used to “tickle the ears” of his audience from “the precious words” the Lord gave him to preach (2 Timothy 4:3-4). To restore the ministry of Jeremiah, to give him a second chance to get his prophetic ministry right, the Lord told His prophet, “And if you extract the precious from the worthless, You will become My spokesman” (Jeremiah 15:19). If the prophet did not separate the word of the Lord from words the people wanted to hear, he would no longer be qualified to be the Lord’s prophet. So with His statement to Jeremiah (Jeremiah 15:19), the Lord did not intend, borrowing Kidner’s words, to release Jeremiah from his prophetic calling, but rather to renew the prophet’s commitment to preach His word only. God was telling Jeremiah to separate the prophetic utterances He inspired (i.e., the precious) from the words the prophet spoke to please people (i.e., the worthless), and declare only what He ordered him to. Remarkably, as the rest of Jeremiah’s prophecy indicates, the prophet listened to God, repented of his mixed message, prophesied only what God ordered him to, and ended his ministry with the dignity of knowing he had faithfully and uncompromisingly served the Lord. Throughout it all, the Lord promised to protect the prophet (Jeremiah 15:20-21). It is obvious that when studied in biblical and historical context, God’s injunction to the Jeremiah has nothing whatsoever to do with shoveling the manure of New Age Religion to look a pony of truth. In fact, God instructed His prophet to separate his message from, not integrate his message with, all man-originated spirituality—New Age Religious, Quantum Mystical, or otherwise. To be heard with clarity, God’s Word must stand alone, and to that end, His “precious” Word must be separated from human contrivances of it. Because the spiritual system is not revealed by God, New Age Religion neither needs nor desires the God of the Bible, and this explains why the Lord forbids believers to have any interaction with occult religion. (Again, see Deuteronomy 18:9-15.) Contact with spiritual entities of the occult, whether intentional or inadvertent, infects the whole of spirituality. Which city will be our home, our identity—Babylon or Zion? The people of God cannot remain as they are. Israel had to leave Egypt. The exiles had to flee Babylon. We too must decide, and get moving. God is telling us to run from every system of false self-salvation, and fast. He expects us to make a clean break, because he has something better for us. This chapter’s entire ecumenical premise (Examining “New Age thought and practice to extract anything “precious” from it.) is unbiblical and therefore, wrong. As James states, “Does a fountain send out from the same opening both fresh and bitter water?” (James 3:11). Contrary to what The Physics of Heaven proposes, God’s word plainly teaches that the Christian faith must be separated from and not integrated with alternative spiritualities (See 2 Corinthians 6:14-18; Romans 16:17; Galatians 1:8; 2 Timothy 3:5; 2 John 10.). 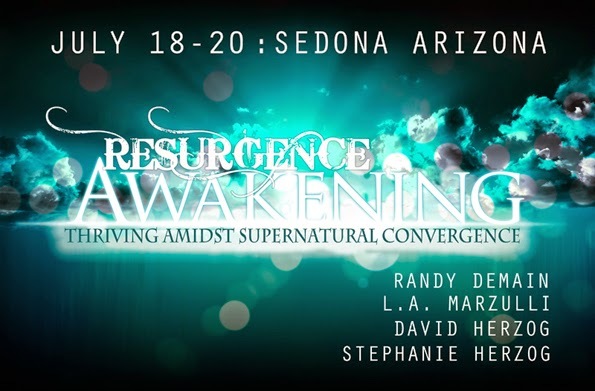 The stated purpose of the Sedona conference "Resurgence Awakening"
Borrowing an analogy from former hockey great Wayne Gretzky (who explains the genius of his game by having skated to and positioned himself to where he anticipated the puck was going), Ellyn Davis advises the church not remain where the puck is or has been (the tired old revelations, scientific laws of Newton and fossilized teachings of the past), but skate to where lively new revelations, quantum physics and mystical experiences lead. (TPOH, 17-18) The culture’s a-changing and Christians need to adapt (as did the author when she encountered the radical 60s counter-culture that challenged the relevancy of her “staunch Baptist” upbringing) or risk obsolescence and irrelevance. The spiritual puck’s moving, and Christians had better get to where it’s going. To keep up with the times, the church had better anticipate where New Age Religion and Quantum Mysticism are taking the Christian faith. But the author’s application of the hockey illustration is flawed. The problem is this: That’s not how “a team” plays “the game.” My son, who for years played the sport at a high competitive level, confirmed that his coaches always demanded players discipline themselves to play their positions, whether center (like Gretzky), forward, defense or goalie, and maintain proper spacing while either on defense or offense. If caught out of position, one quick pass by the other team can lead to a goal, which in hockey is often the margin of defeat or victory. So if every player skated to where they thought the puck was going to be, guess what? They’d all be out of position, “check” each other out, and fall to the ice in a pile thereby giving the other team a golden opportunity to score an easy goal! So if the church skates to where it perceives religion trending, the church will loose because unlike spiritualities built upon and around the mystical and paranormal, where the Christian faith is going depends upon where it’s been. Christianity is a historical faith. By the nature, the mystical is not historical because religious experiences of it depend neither upon historical facts or events. They’re spontaneous. So God’s Word tells believers to pay attention to the past so that their faith doesn’t get sabotaged in the future. That’s why Paul and Jude told early Christians not to chase after “different gospels,” but to keep “the faith which was once for all delivered to the saints” (Galatians 1:6-9; Jude 3). Nevertheless, Davis recommends deserting the old-faith-paradigm to chase after an emerging a new one by extraction extracting “the precious” of New Age Religion and Quantum Mysticism and combining the extractions with Charismatic Christianity. To reinforce her Gretzky illustration, Davis cites a statement made by Canadian Pentecostal Ern Baxter (1914-1993), who was associated with American Pentecostal and “latter rain prophet” William Branham (1909-1965), and who had “lived through multiple moves of God.” In a quotation that coordinates with Davis’ previously used shoveling-manure metaphor, she quotes Baxter as having said: “When the Holy Spirit moves on, all that’s left is dung.”(TPOH, 18) So if the church doesn’t want to be left with “dove dung,” it had better shovel through the manure of New Age Religion and Quantum Mysticism looking for “precious ponies” of spiritual truth. By way of contrast, Hawking “claims that science offers a ‘more convincing’ cosmogony” because after investigation into life’s quantum realities is exhausted, gravity remains (“the secret” of why the universe exists and holds together). Therefore scientists with an anti-supernatural bent of mind (like Hawking) postulate that gravity (i.e., the Force) is the genius or god that explains both the universe’s origination (from whence it derives) and continuation (how it drives). If for some reason this gravity-god, whether it’s called the Higgs particle or zero-point energy field, collapses, life as humans consciously know and participate in it will be over. In other words, the universe is ticking on a quantum clock! So to avoid feelings of angst and aloneness amidst an mechanical and impersonal universe, New Age Religion attempts to interface with science by injecting the mystical into the mechanical, the result being known as Quantum Mysticism. Instant-presto-change-o.... the mechanical becomes meaningful as science becomes spiritual and physics becomes philosophy. As quantum physics explains the universe’s working, Quantum Mysticism provides meaning, even if that meaning is illusory. But the belief, or unbelief, of Hawking indicates that quantum knowledge does not lead seekers to the super-supernatural worldview espoused by the authors of The Physics of Heaven. Though nature’s very existence may lead observers to believe in a God who created it—Why not nothing?—fact of the matter is, quantum physics can end, as it does with Hawking, in believing in gravity, not God. (See “No God!” Psalms 10:4; 14:1a; 53:1a; compare Romans 1:18-23; Psalm 8:4-8; 19:1-6.) Neither does science lead observers to faith in the Christian God. [They] objected to the impact of philosophy upon theology and insisted upon a return to Scripture. They assumed that all people have some implicit knowledge of God’s existence (Calvin’s “sense of divinity”), but they declared it useless apart from the revelation of God’s will and grace in Jesus Christ. Studying how the universe behaves—calculating vibrations, observing brainwaves or theorizing about the existence of the Higgs boson or zero-point energy field—does not invariably point seekers to Jesus Christ, the One whom Scripture teaches holds the universe together (“He is before all things, and by him all things consist,” Emphasis added, Colossians 1:17, KJV). In fact, the Apostle Paul warned Christians that physics/philosophy can so captivate human minds that they will be led away from Christ, not to Him. Among other potential captors, the Apostle warned the Colossians, “See to it that no one takes you captive... according to the elementary principles of the world (Greek, ta stoicheia tou kosmou), rather than according to Christ” (Colossians 2:8). Therefore, to understand the danger posed by synthesizing Christianity with New Age Religion and the Quantum Mysticism inserted into it, Bible believers need to understand the modern relevance of this ancient descriptive phrase, “the elementary principles of the world” (Greek, ta stoicheia tou kosmou). As it relates to the world or cosmos, the word “rudiments” (KJV, Greek, stoicheion) is variously translated “elemental powers” (NAB), “elementary principles” (NASB), “basic principles” (NIV, NKJV), “evil powers” (NLT), and “elemental spirits” (ESV, NRSV). Translations indicate that the meaning of the Greek word diverges between “principles” and “powers,” between the “physical elements” constituting the cosmos or universe and “spiritual powers” inhabiting it. Interestingly and not unlike the Quantum Mystics of modernity, the ancient mind did not separate the spiritual principalities and powers that inhabit the universe from the material particles which comprise it (i.e., the stoichieon). As one lexical authority notes, “heavenly bodies were also regarded as personal beings and given divine honors.” Ancients believed that Earth, Water, Air and Fire, and perhaps a fifth element (the pure essence of the universe where ancient science believed the gods [“principalities and powers”?] lived and breathed), the Aether comprised the universe. Ancient pagans believed that divinities (i.e., powers) permeated the cosmic reality. Therefore, to prevent the powers from going rogue, pagans would observe compensatory rituals and offer appeasing sacrifices and offerings to placate them hoping that the powers might be inclined to calm nature down when life was threatened. Even though the cosmos may be hierarchically arranged, there are forces that cut across and unify at all levels. Divine powers understood variously as “energy” or “light” pervade the whole. Because of the way the human heart is bent (the Bible designates it as our “sin nature”), spiritual seduction can easily accompany the study of any science, especially the quantum disorder where observed chaos and chance are taken indicate there’s no cosmos (order) or control, the implication being as Hawking believes, there’s no God. Personally, I see enough order in the universe—we live with it every day—to indicate there’s a divine Creator, while at the same time I see enough disorder—we too live with it every day—to indicate the curse (Genesis 3:17-19). Whether at the macro or micro levels of existence, creation is cursed, albeit temporarily (Romans 8:18-23; 2 Peter 3:13; Revelation 21:1.). Should we be concerned and intimidated by the hybrid spirituality known as New Age Religion/Quantum Mysticism in post-Christian America? Well, yes and no. Yes because Paul warned that being captivated by such a physics/philosophy (i.e., “the rudiments of the world”) can lead Christians away from Christ, and yes because all Christians should know that there can be no fellowship between Christ and Belial or agreement of the temple of God—whose habitation we are “in Christ”—with idols (See Colossians 2:8; 2 Corinthians 6:15-16.). But no, because in His fullness, God “spoiled” whatever opposing spiritual forces are “out there” through Jesus Christ as He “disarmed the rulers and authorities [and] made a public display of them, having triumphed over them” (Colossians 2:15). Though opposing entities will continue to manipulate “the world’s spirituality” in their favor, their influence will end when “the only manifested Son of God” delivers them a death blow. Believers will participate in this coming triumph in the final conflict (Colossians 3:4). But until then, Satan will continue to employ “the rudiments of the world,” the elements and their powers, to lure people’s attention and faith away from the Lord Jesus Christ unto other personae, whether real or imagined (Ephesians 6:10-17). Stemming from human imaginings, digitally created UFOs, invading aliens, and grotesque and menacing giants heighten people’s fascination with paranormal substitutes for Christ (which is the spirit of Antichrist, 1 John 4:1-3; 2:21-23). This digital neo-Gnosticism (call it science fiction) seeks to take captive human hearts by shifting the Spirit’s illumination away from the Lord Jesus Christ thereby fixating souls’ attentions upon the foreboding darkness of occult phenomena. Sadly, whether peddled via Xbox, other computerized gaming systems, or Hollywood movies, these addictive counterfeit realities have been and are being injected worldwide into the hearts and souls of millions, if not billions, of people, young and old. Though they include varieties of mythical characters with mystical powers, these digital deceptions ignore the God of the Bible, and this imagery is idolatry. Sadly and following after this the culture of cyberspace, Christian teachers are adapting their message to this neo-Gnostic and mythic worldview. When isolated from special revelation, nature does bear a redemptive witness to the biblical God. Quantum observers can become so fixated upon the creation they forget there’s a Creator. Thus they turn the tables on a creation that is supposed to glorify God and assert their own glory (See Romans 1:20-23.). They create their own deities, whether they be named Ishtar, Isis, Horus, Yazad, Baal, Astarte, Allah, Shiva, or whatever. Christians should therefore be concerned about a proposal that encourages engaging New Age Religion and Quantum Mysticism to extract “the precious” from “the worthless” in order to discover a new “quantum faith.” Falling into this trap harbingers spiritual captivity for hearts who become so enthralled. Ellyn Davis, Chapter 2: “Extracting the Precious From the Worthless,” The Physics of Heaven: Exploring God’s Mysteries of Sound, Light, Energy, Vibrations and Quantum Physics, by Judy Franklin & Ellyn Davis (Crossville, TN: Double Portion Publishing, 2012): 11-19. Unless otherwise noted, Scripture quotations are taken from the New American Standard Bible (Anaheim, CA: Foundation Publications, 1995). We cite the quotes so readers can note the differences: “If you take out the precious from the vile, You shall be as My mouth.” (Jeremiah 15:19, NKJV); “And if you extract the precious from the worthless, You will become My spokesman.” (Jeremiah 15:19, NASB). One can only note the irony that the acronyms for the New Apostolic Reformation (NAR) and New Age Religion (NAR) are the same, perhaps suggesting the two movements do share spiritualities. Obviously, Franklin and Davis, as other contributors to the book, think this to be the case. Derek Kidner, The Message of Jeremiah: The Bible Speaks Today, J.A. Motyer, Editor (Downers Grove, IL: Inter-Varsity Press, 1987): 69. A number of other translations of Jeremiah 15:19 bear this out. They are: “If thou take forth the precious from the vile, thou shalt be as my mouth” (King James Version); “If you take out the precious from the vile, You shall be as My mouth” (Jeremiah 15:19, New King James Version); “If you utter what is precious, and not what is worthless, you shall be as my mouth” (Jeremiah 15:19, English Standard Version); “If instead of talking nonsense you proclaim a worthwhile message, you will be my prophet again” (Today’s English Version); “And if you speak things that have worth, not useless words, then you may speak for me” (New Century Version); “If you speak words that are worthy, you will be my spokesman” (New Living Translation); and “If you utter what is precious, and not what is worthless, you shall serve as my mouth” (New Revised Standard Version). Commanding that true believers continue to separate themselves from the spirituality of idolatry, the Apostle Paul quotes Isaiah’s prophecy in 2 Corinthians 6:17. Emphasis added, Raymond C. Ortlund, Jr., Isaiah: God Saves Sinners (Wheaton, IL: Crossway Books, 2005): 348. Dominique Mosbergen, “Stephen Hawking Says ‘There Is No God,’ Confirms He’s An Atheist,” The Huffington Post, September 25, 2014 (http://www.huffingtonpost.com /2014/09/25/stephen-hawking-atheist_n_5882860.html). John Van Engen, “Natural Theology,” The Concise Evangelical Dictionary of Theology, Edited by Walter A. Elwell, Abridged by Peter Toon (Grand Rapids, MI: Baker Book House Company, 1991): 331. 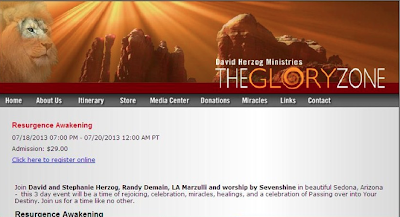 See Pastor Larry DeBruyn, “The Supreme Supremacy of the Lord Jesus Christ: Christ Before Cosmos,” Guarding His Flock Ministries, August 13, 2013 (http://guardinghisflock.com/2013/08/13/the-supreme-supremacy-of-the-lord-jesus-christ/#more-2442). See William F. Arndt and F. Wilbur Gingrich, A Greek-English Lexicon of the New Testament (Chicago, IL: The University of Chicago Press, 1979): 769. Bright notes: “The ancient paganisms were all polytheistic, with dozens of gods arranged in complex pantheons. These gods were for the most part personifications of the forces of nature or other cosmic functions; they were in and of nature and, like nature, without any particular moral character. Their will could be manipulated in the ritual (which re-enacted the myth) so that they would bestow on the worshipper the desired tangible benefits.” See John Bright, The Kingdom of God: The Biblical Concept and Its Meaning for the Church (Nashville, TN: Abingdon Press, MCMLIII): 25. “Aether (classical element),” Wikipedia: the Free Encyclopedia (https://en.wikipedia. org/wiki/ Aether _(classical_element). Any religious belief system which fuses spirituality into materiality has, I think, a cause, an affect and a consequence. First, the contrast between nature’s longevity (the eternality of matter is assumed) and human brevity (in the evolutionary pattern of a self-creating universe, man is a “late-bloomer” and his time is short) causes pagans to deify the longer-lasting elements (i.e., “Mother Nature”). Second, because pagans believe the spiritual permeates the natural (i.e., earth, wind, fire and water), they attempt to visualize this “union” by making idols out of the elements they believe the spirits inhabit. (See Isaiah 44:12-17; Jeremiah 10:1-16.). Thus, particles are possessed of powers. And third, knowing that “Mother Nature,” beautiful seductress that she may be, possesses a mean streak and can suddenly turn nasty, how do pagans attempt to mollify her so she will not turn against them? Fearfully, they sacrifice and pray to the gods in an attempt to manipulate the elements and mollify the spirits to be kindly disposed toward them (See 1 Kings 18:20-29.). This is what develops when primitive people do not accept that the Creator created the universe (Jeremiah 10:10-16). Though in the universe God is Omni-present (Jeremiah 23:24), He is not omni-permeant. Pantheistically or panentheistically, God’s Soul does not permeate matter because out of nothing He created it separate from Himself. As the eternally pre-existent and Holy One, God did not fuse His being into the matter He created (as asserted by process theology). In “the day of the Lord” when God will destroy the present created order (2 Peter 3:7, 10), and assuming that nature is infused of God, what’s God going to do, destroy Himself? If God is nature, then the present ecological crisis is hopeless. Also, that God permeates matter is the assumption of idolatry (See Isaiah 40:18-22.). In worshipping God, the distinction between the Creator and the creation/creature must ever be maintained (See Revelation 4:10-11; Romans 1:19-23.) If that distinction is violated, then as idolaters materialize their deities, so-called “worship” becomes idolatry (See Exodus 32:1-6.). Since Satan’s great fall, man too has attempted to become like God Most High. Down through the centuries rebellious men have stiffened their necks in defiance to the Creator and have devised various methods and religious pathways in vain attempts to morph themselves into immortal or divine beings—apart from the Gospel of Salvation. All of them—from the ancient alchemists to the modern-day Mormons, Masons, and Transhumanists—have failed (and will fail) miserably because the God of the Bible has chosen only one way for sinful mankind to achieve true immortality: through faith in the death, burial and resurrection of His Son the Lord Jesus Christ. In contradiction to the saving Gospel of Jesus Christ, the “Postmodern Prophecy Paradigm” (PPP)-leaders (our term) have given hearty heed to these rebellious ideologues. By giving credence to these machinations to undo the curse of sin, these PPP-teachers peddle new eschatology scenarios to unsuspecting Christians under the guise of a postmodern scientific alchemical concoction: Transhumanism (or Posthumanism). The PPP-proponents have capitalized on the foreboding and sensational elements of the Posthuman movement by stirring up fear and dread with unbiblical teachings that say the Transhumanists will not only succeed in their God-defying schemes, but in doing so will threaten the extinction of the human race. This faulty idea is found nowhere in Scripture. While on the one hand the PPP-collaborators have loudly and publicly denounced Transhumanism as wicked and unbiblical, on the other they’ve piggybacked their own preposterous speculations, imaginations, suppositions, and conjectures onto the Transhumanist movement to arrive at bizarre doctrines that are foreign to the Scriptures. In so doing they give unintentional validity and credibility to the Posthumanist’s ill-fated plots. They have mingled the immortal visions of the Transhumanists with their own contorted false Nephilim doctrines and apocalyptic end-time scenarios—which perilously do an end-run around the Book of Revelation (not that they could ever succeed in undoing the truths of the divine revelations in this book). These endtime teachers seem to be attempting to re-write the future (eschatology), and in the process they are abandoning, ignoring and contorting God's Word. This article will first examine Trans/Posthuman teachings and then analyze how they are altering evangelical beliefs and eschatology. This generation has seen the burgeoning advances in technological medical treatment—designed to save human life—or to allow individuals with catastrophic injuries to see, hear, or become mobile again. Heart patients can live longer with implanted devices and remote technologies that monitor both patient and device from a medical center, electrodes can be implanted in the human brain to treat epilepsy, and even the human face can now be transplanted on gunshot victims. Scientists have created robotic limbs, synthetic knee and hip joints, and have done experimentation with human DNA (genetics) to treat disease. But none of these medical treatments will create a soulless human or even a posthuman species. Leaping from the purely medical, scientific, and technological enhancements mentioned above to the belief that mankind will no longer be human or even immortal is to move into the realm of science fiction and false religion. Before proceeding, a key distinction must be made. 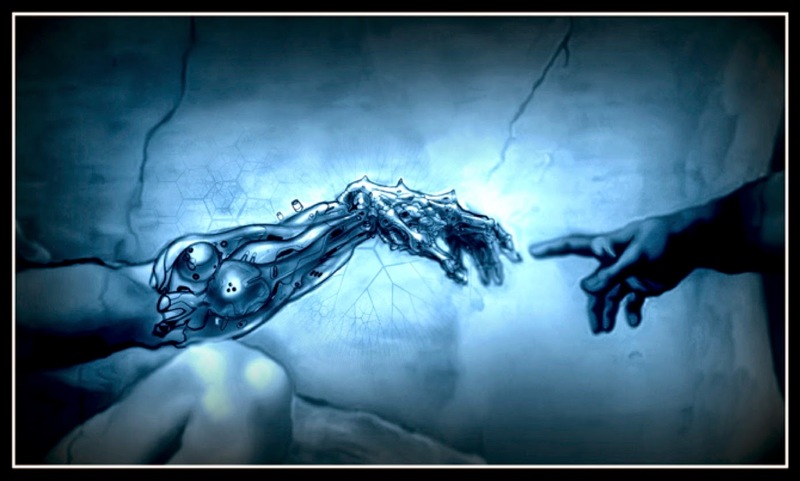 Behind the term “enhancement” stands the Transhumanist assumption and aspiration, that humans are generally defective and thus it is imperative for them to be improved by technological gadgetry in order to advance in their evolutionary development, ultimately to the point of giving up their humanness altogether. Providing a person who has lost a limb to get a prosthetic arm or leg is not “enhancing” but merely allowing him to live a more normal life. This is entirely different from what is being done to healthy soldiers by altering their human constitution in such a way that they will be able to hear and see much better than they could without technological devices which have been implanted in their bodies. Thus, in order to be able to differentiate between “enhancement” and “healing” a basic question needs to be asked: Is the technological improvement done for “enhancing” a perfectly healthy human being with a purpose which goes beyond leading a normal human existence? Or is it being done to “heal” a disease or to help an amputee to walk again? In conclusion, we have shown that the concept of human enhancement by technological means is not primarily a technological issue, but rather the newest incarnation of the ancient, deeply religious endeavor “to become like God” – infinitely wise, omnipotent, autonomous, and immortal. 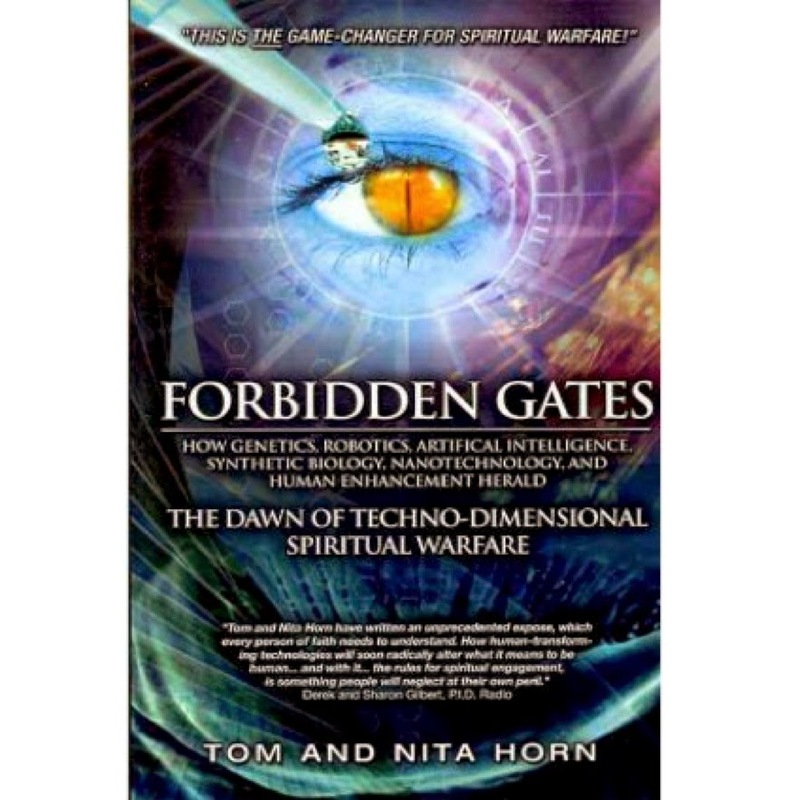 The main evangelical leader promoting the assumption that the Transhumanists are right in their prognostications regarding the future, and even able to pull them off, is best-selling Christian author and publisher Tom Horn. Horn assumes Transhumanists will succeed in bringing to reality their futuristic scenarios if not opposed. He takes the Transhumanists at their word, as if they tell the truth about the future (this is the same frame of mind he exhibits in dealing with the pronouncements of the esoterists). Horn opposes their objectives, but gives credence to them as if they are true, by believing they are achievable if not opposed. And thus he thinks the danger is real. far-reaching morphological transformation will redefine what it means to be human. Transhumanism will radically redesign our minds, our memories, our physiology, our offspring—our very souls. failing this responsibility may abdicate to a frightening transhuman vision. If this “metaphysical shift” that Horn claims is now underway—the “paradigm shift” that the quantum mystics and New Agers also predict—then the unbiblical idea will be realized, that at some magic moment a radical change in reality will take place on planet earth that will “shift the paradigm” and usher in an upward evolution of man as well as the en masse acceptance of an entirely new belief system divorced from biblical Christianity. Look at point 3 above. Horn seems quite certain of it. He doesn’t use the word “might” but says “will.” And he certainly doesn’t hint that this idea is so far out there that it is highly unlikely to become reality. Nor does he point to the Scriptures to state unequivocally that it WON’T happen, at least not in its ultimate intent. This end-time whopper that “forecasts a future dominated by this new species of unrecognizably superior humans” (who may not even possess human souls)—propagated by this influential Christian author (who is also his own publisher)—is not to be found anywhere in the Word of God. These teachings serve only to put a scare in those who listen to these false notions, turning them away from the truth. Seriously, considering the offensive subhuman tenets taught by the PPP-leaders—subhuman “offspring” (i.e., children!) of space aliens who mate with human women exist on earth today—do you want them representing Christianity in a global debate about what it means to be human?! 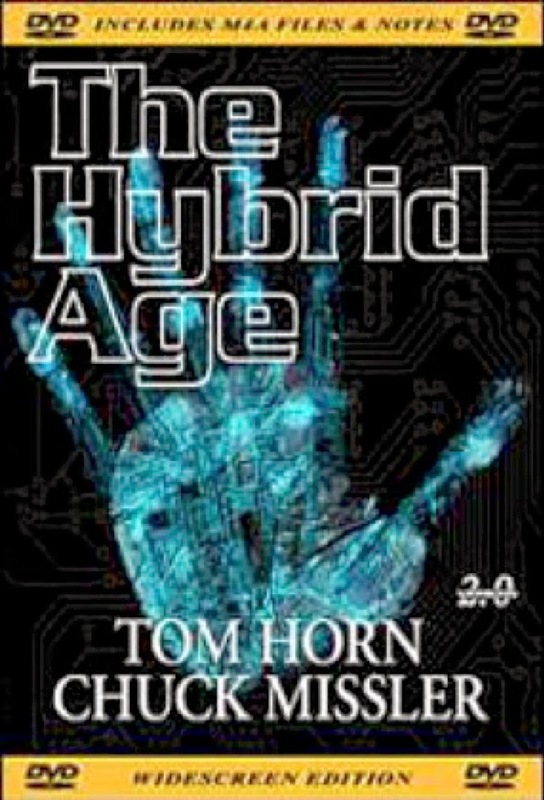 According to the Horns, the Transhumanist threats are so great as to produce a technological “Singularity”—something big and terrible was supposed to occur suddenly “around the year 2012”—something so massive that it would reach “critical mass” and shift the paradigm into their predicted dark and foreboding posthuman future. The New Agers have taught these same things. These far-flung ideas birthed the Future Congress events. The first one was held in 2011 (as Horn noted); the second in Dallas in January of 2013. The “ministries and intellectuals” seemingly on board with these “emerging threats and challenges” included Tom Horn, Chuck Missler, Gary Stearman, Terry James, Jim Fletcher, Doug Woodward, L.A. Marzulli, Rob Skiba, Hal Lindsey, Doug Hamp, Bill Salus, Cris Putnam, Chris Pinto, Russ Dizdar, Peter Goodgame, et al. 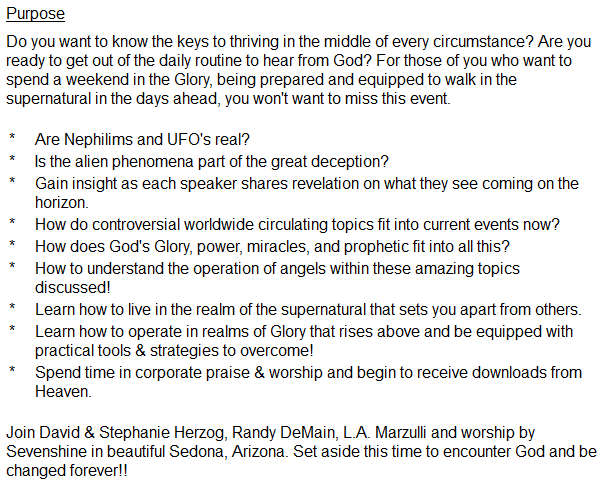 Many of these same speakers gathered at a Pike’s Peak Prophecy Summit in Colorado Springs and at an Orlando Prophecy Summit—alongside Rabbi Jonathan Cahn, Joseph Farah, Paul McGuire, and others. It should be obvious that none of the predicted doomsday disasters anticipated by the Horns occurred in 2012. To obscure this end-time dating failure, Horn published Zenith 2016 last year which extends the 2012 end date by four years. Other PPP-connected leaders are joining him in this 2016 hype. Again, Horn’s “Human Enhancement Revolution (HER)”—a “metaphysical shift” dominated by a new species of unrecognizably superior humans”—is a sensationally fabricated myth. This idea is totally absent from the Scriptures. 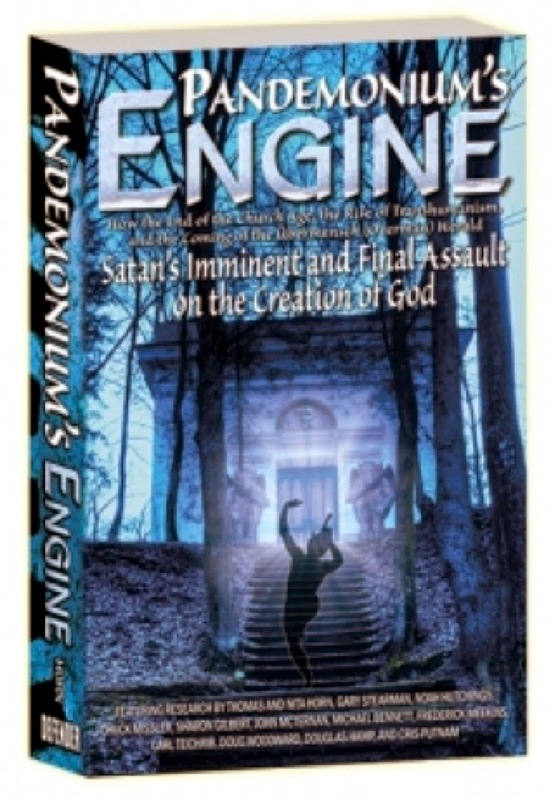 The remainder of this lengthy first chapter in Pandemonium’s Engine was a paper that Horn submitted to the American Academy of Religion in 2011, a paper filled with Horn’s dire prognosis for humanity and Nephilim False Eschatology. Other contributing authors for this book include: Gary Stearman, Noah Hutchings, Chuck Missler, Sharon Gilbert, Carl Teichrib, Doug Woodward, Douglas Hamp, and Cris Putnam. Putnam recently co-authored two best-selling books, Petrus Romanus and Exo-Vaticana, with Tom Horn. His incarnation, or coming in the flesh. It speaks great encouragement to sinners, that their Saviour is the Seed of the woman, bone of our bone, Heb 2:11,14. His sufferings and death; pointed at in Satan's bruising his heel, that is, his human nature. And Christ's sufferings are continued in the sufferings of the saints for His name. The devil tempts them, persecutes and slays them; and so bruises the heel of Christ, who is afflicted in their afflictions. But while the heel is bruised on earth, the Head is in heaven. Did you catch that last sentence? “The destiny of each individual—as well as the future of the family—will depend on the knowledge of this new paradigm …” This is a thorough-going dystopian and earthbound horror script that is fully at odds with the Bible. The “destiny of each individual” is contingent upon whether or not they believe the saving Gospel of Jesus Christ, not whether or not they are prepared to slay modern-day dragons in posthuman form. The believer’s destiny should be focused upon heaven, not earth—regardless of what transpires in the future. Rather than flocking to the experts of “this new paradigm” readers should instead flee to the refuge of the Lord God and to His Word. Horn has also set up yet another website, InhumanTheMovie.com, to promote “this new paradigm” featuring a video with Missler listed as one of its experts. The video caption announces, “Inhuman: The Next and Final Phase of Man is Here.” Yet, what does Scripture teach about this? Is mankind “evolving” upward—or inviting God’s judgment due to sin and unbelief?